Last week the high upside picks were killer. They pretty much all panned out aside from Alex Collins and Austin Seferian-Jenkins. Feel free to go back and take a look if you're curious. Moving forward from patting myself on the back...it's a new week and there are new picks as such. We'll try to keep the good times going with the week 10 high upside picks. The Giants got absolutely demolished last week; the Rams straight up blew their doors off. Despite that most epic of beatdowns, Eli Manning still posted 15 fantasy points against a decent defense. This week brings a...not decent defense into the mix with the 49ers. 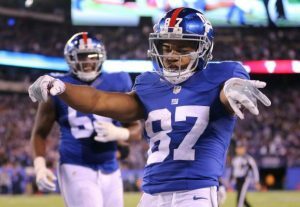 Manning has Sterling Shepard back healthy and Evan Engram has emerged as a star at tight end. There is reason for some optimism going into week 10. Not for the Giants mind you, we're just talking about Manning's stats. It has been a shocking season for Josh McCown and he is set up for another big game. The veteran has been lights out recently, posting 18 or more fantasy points in 4 straight games. Now he gets a Tampa Bay defense that is not stopping anyone. Couple that with a Tampa Bay offense that can't stay on the field and we're really cooking. Unless we get a vintage McCown turnover-fest, he could be headed for about a 25 point day. I know, this is not exactly genius choosing Jordan Howard but bear with me. Obviously Howard owners are starting him, he has bee productive in almost very game this year. This is set up to be a fantasy performance for the ages though. Fresh off a bye, Howard gets a team that cannot stop the run or stay on the field. He is playing for a Bears team with a rookie quarterback that they do not want throwing. As long as the Pack is held in check early, which they should be, the game script is beautiful. This could be something like a 30 carry 175 yard day in the offing. He is my RB2 for the week, behind only LeVeon Bell at Indy. One of these games, the Broncos are going to realize that Devontae Booker is their best running back. If that realization comes in week 10, it could mean big things for the young back. The Patriots defense is improving, but they are still allowing a lot of yardage. For fantasy purposes, they are still a better matchup than they are in reality. There will probably not be a lot of points scored by Denver, but Booker could rack up the yardage. I like this for the second year back's breakout week. The 49ers should get familiar with this look before Sunday. There are relatively few options for Eli Manning even in this great matchup. Sterling Shepard and Evan Engram are the horses for this passing game. With a healthy return last week, Shepard is set up to have a very big game in an easier matchup. If Manning can get on the same page with the young receiver, the sky is the limit. There is not doubt that the volume will be there, he just has to make the plays. The Cardinals are a great matchup for opposing passing games. The exception of course is Patrick Peterson, who will be covering Doug Baldwin. Paul Richardson is questionable and that should mean more opportunities for Tyler Lockett. Against a bad Cards pass defense, there is every reason for optimism. Slot in Lockett with confidence and enjoy the returns. 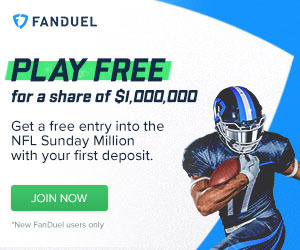 I have thrown a lot of love to the Giants offense, but don't sell their defense short in fantasy. They are extremely rewarding to opposing offenses. The strategy for the Giants against tight ends has been to let them score at will. Garrett Celek is not a household name, but that is ok with the G-Men. He will be as welcome in their end zone as every other opposing tight end. Don't get me wrong, Eric Ebron makes a living on disappointing fantasy owners. Even he may not be able to accomplish that against the Browns though. Opposing tight ends have demolished the Cleveland defense at almost the same clip as the Giants. Ebron has always had elite potential, it just never seems to materialize. It would probably be foolish to expect too much, but a stat line similar to week 2 (5 catches 42 yards 1 touchdown) is probably about right. Wait, what team did he face that week? Oh, right...the Giants. Be sure to check back soon for the week 10 sleepers. If you love our content and want some extras, check us out on Twitter: @_knuckleheads and @brendancole16.